Well, winter has well and truly arrived here in the Midwest. Last week’s forecast for this weekend was in the forties and fifties, and here we sit at 10ºF! Tonight’s low is supposed to be -8ºF. So much for El Niño’s supposedly milder temperatures! 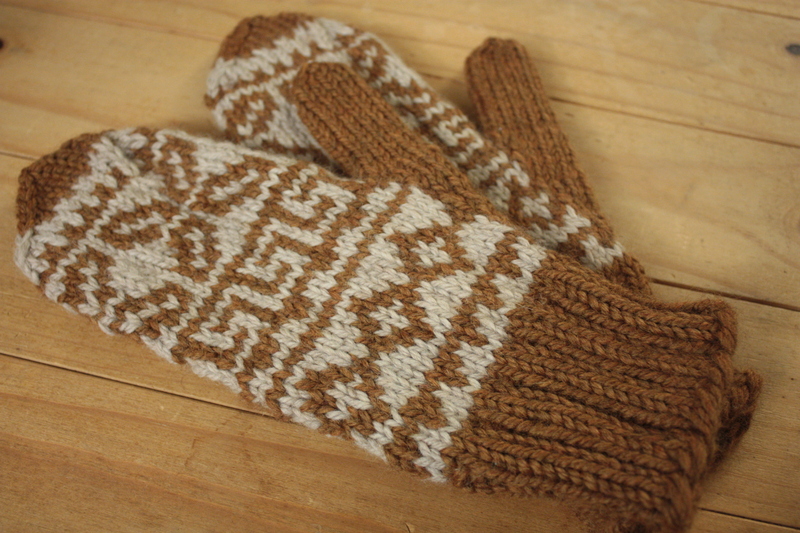 It’s a good thing I finished my husband’s mittens earlier this week…. Again, the yarns are Berroco Peruvia Quick and Plymouth Galway Chunky, and the pattern is Bulky-Weight Andean Mittens by Marcia Lewandowski. 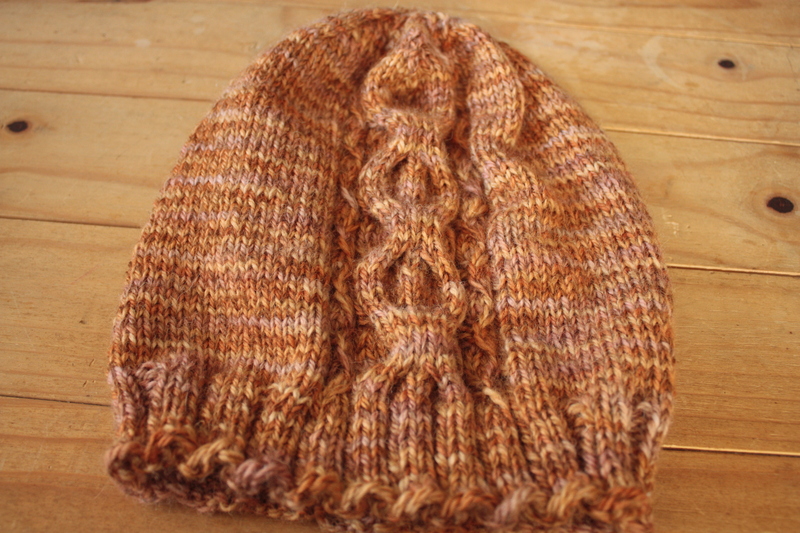 I also finished this hat the other night…. The abrupt onset of brutally cold weather has sent me into a flurry of dog-sweater knitting. Teddy already has a sweater, but right now Miss Molly has nothing but her birthday suit, so I’m making one for her first. Here’s what I have so far…. I was actually much farther along last night, but the fit wasn’t right, so I took it back a bit. 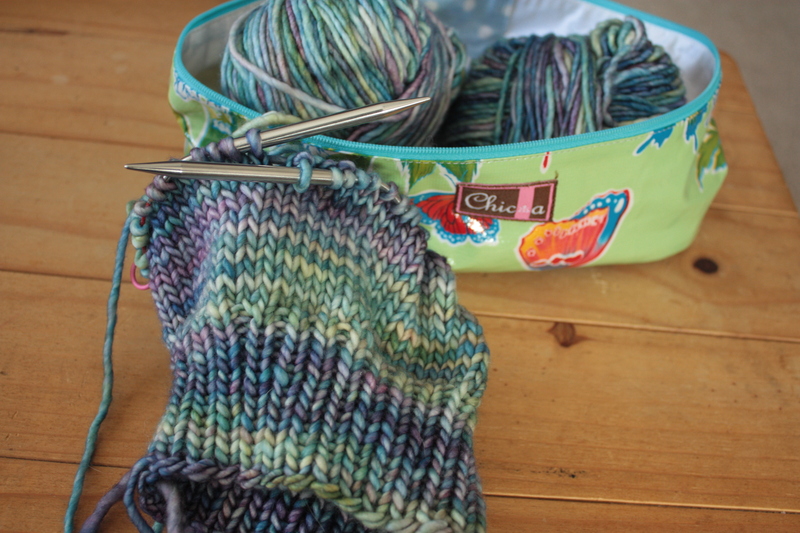 The yarn is Malabrigo Mecha in Arapey; so pretty, and yet so washable! Of course, Teddy will have to have a new sweater too. It’s only fair. We’re so excited that Molly is now officially a member of our family. 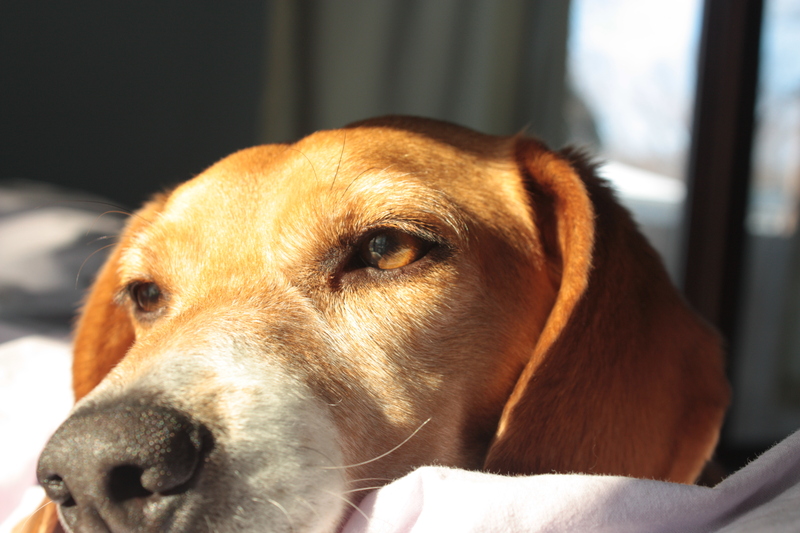 Here’s a shot of her basking in the (albeit brief) morning sunshine…. What you can’t see in this photo is her new collar, license, and name tag. It still makes me sick to think about what would have happened to her in this weather, had we not found her when we did. 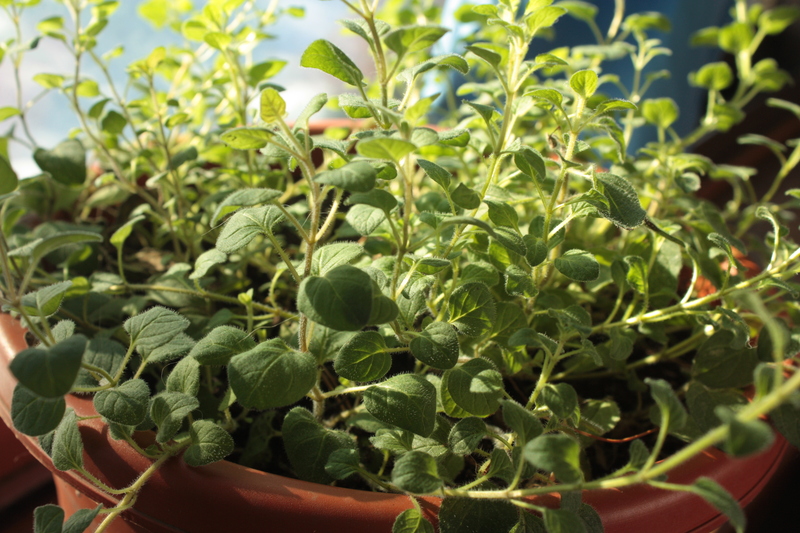 On a very random note, my Greek oregano is also enjoying the morning sunshine…. I guess we all have to take what we can get! Well, that’s it for this week, folks! Tune in next week for some photos of adorable pups in sweaters. Until then, take care and happy knitting! By golly, Miss Molly, you found yourself a very special home.